Creativity is like El Nino and La Nina – interplay of idea drought and flood. Framing visions to a personal, political or spiritual context. We all have a number of moments in our lives where we feel and are moved by another’s originality of creativity. It always speaks to you personally. The other’s soul becomes mine. Raised on a dairy farm, this climate imperative underpinned our family’s sustainability. You could see it in every blade of grass and in the hide of every cow. 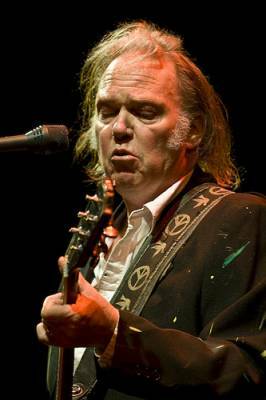 In every young buck’s car was a cassette of Harvest, a collection of folk songs from Canada’s Neil Young. It was a huge hit. It was rural. Within the cow shed stood a polished stainless steel vat that captured the milk from the 90 cows that gave it up twice a day. Each morning, the vat was emptied into a giant tanker. It had to be meticulously washed ready for the next intake. The job took half an hour if done right and you had learnt early to ensure you did all chores around the farm right the first time. But oh was a dull job it was, scrubbing, reaching, rinsing and drying the cube. Every day, every year. I’d take my cassette player there to relieve the task of some of its monotony. On a whim, at 15, I had bought a cassette of Neil Young’s Decade anthology encouraged that he had moved “into the ditch”. Awash in a sea of glitter rock and at the vat face again, I am stopped by words that fight for space with Neil’s persistent feedback gluttoned guitar. Lyrically the song is spent in two minutes. Emotionally it’s stretches over 8 glorious minutes as Neil’s sonic infused guitar mirrors lends weight to the words before finishing on a series of droning descending notes full stopped by a massive power chord. Or two, or three. I saw a concept for the first time – theoretically at least - the duality of love. Mastering that would take a lifetime at least. All wrapped up in those 8 minutes. 6 years later, Neil’s Powderfinger seems to chronicle my own experiences of the past year. Father died, farm finished, dropped out of uni, uncertain where’s next, no discernible future. Those feelings help me escape to Europe where I discover Neil is in Germany touring on the basis of his computer concept album “Trans”. He’s wearing wrap around shades, and a pink lurex jacket. It’s a long way from “Harvest”. The futurist “Computer Age” doesn’t cut it with the booing hippies who want their Neil Young, my Neil Young, the Needle and the Damage Done Neil Young! The gig is in Dortmund, a grey harbour town on the north Rhine. Later, we criss cross the night on 5 different trains to avoid the Deutsch Mark liberating excess of the Dortmund Hotel Industry. I can still feel the shock of hard sunlight when the Hamburg commuters rip up the carriage blind on our last leg. Every gig is full of various hopes. To hear the hit(s), that love song, our song. Then there are the fans that’ve been on board the journey through every highway and byway. 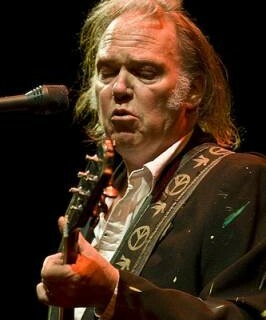 30 years later and just this Friday gone, we’re at Rod Laver Arena, Melbourne to see Neil Young - Folk Rocker, Folk Laureate, Electronicist, Rocker, Grunger, Rockabillist, Ballader. Pushing 70, his band – Crazy Horse pushing 70. This is no nostalgic act. He’s touring a new album – Psychedelic Pill from which we drink 3 times, plus 2 new unreleased songs. The rest of the evening takes from his raucous outputs from the 60’s, 70’s, 80’s, 90’s and 00’s. It’s a rollicking 3 hour assault. Neil traverses the stage Gibson in hand; a crazed amplified somnambulist. That guitar keeps hitting spots that scratch memories healed long ago. 2 Responses to "Crazed amplified somnambulist"